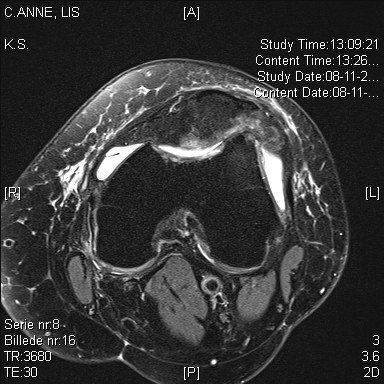 » Anterior Knee Pain – can it be treated surgically? Anterior Knee Pain – can it be treated surgically? The condition of having anterior knee pain is a very common disorder. The majority of patients can successfully be treated without surgery. First of all is Anterior knee pain a symptom and not a disease. Today we have identified many reasons to have anterior knee pain. Initial treatments of your Anterior Knee Pain (AKP) or Patellofemoral Pain (PFP) consists two thing. First of all is a reduction of level of activity often enough. Also a mixture of physiotherapy-guided quadriceps and hip exercises, core stability training, and eventually foot orthoses, braces and tape, can be helpful. If you are have chronic anterior knee pain you should read futher. You have likely been told to live with your pain by your doctor. 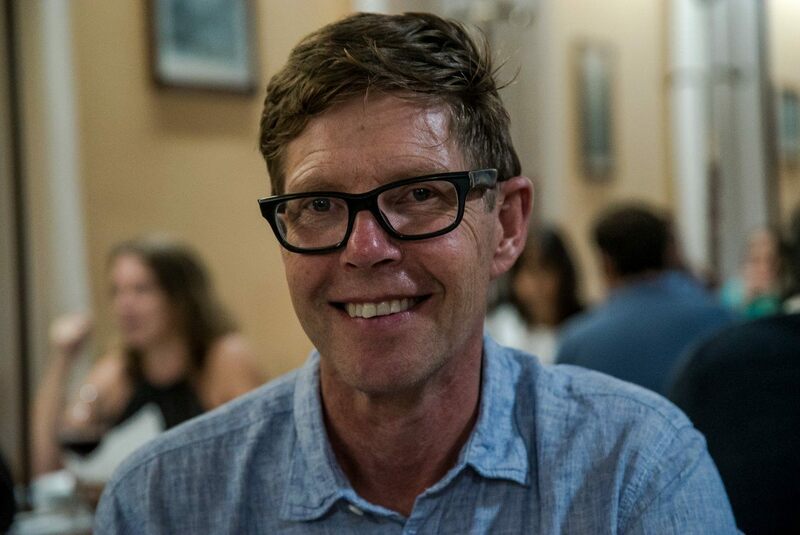 Or an orthopedic surgeon have introduced the good model "Functional Envelope" developed by Scott Dye. But in your specific case you think, that is not the best option. If so you should read more since surgery might be scary but it could be an option. Surgery for anterior knee pain? Surgery for anterior knee pain is very complicated and you should look for a surgeon with a special interest in the patellofemoral joint. It has to be a surgeon who you can trust. The surgeon also have to examine you competently. Also the surgeon needs to explain to you exactly the MRI. I normally say that "there is nothing you cannot operate on without risk of making it worse". So be alert and skeptical to what your surgeon might suggest you. Arthroscopic debridement can occasionally be a solution. If the knee is locking or catching and there is no malalignment. This means that the kneecap is tracking normally in the groove. If you are one of those troubled by chronic anterior knee pain it might be that you are having hyperpressure syndrome. 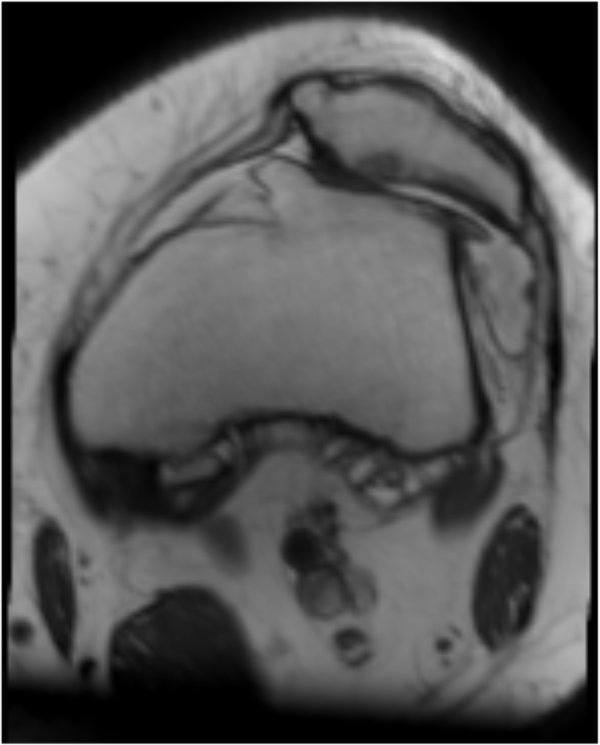 This is mostly caused by a tight lateral retinaculum (a kind of ligament that stabilise the patella - see image). 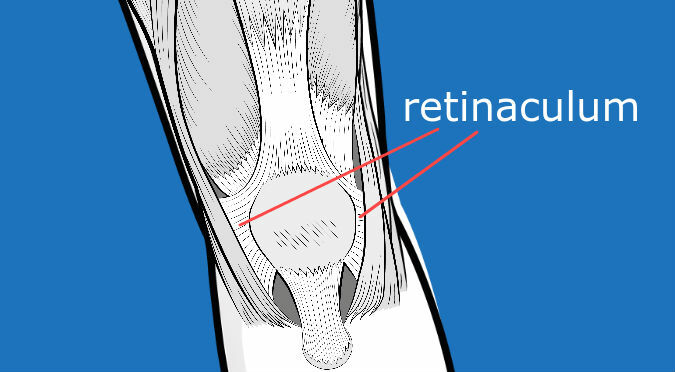 When your retinaculum is tight, this can cause the patella to tilt. Often this tilt can be seen on an MRI scan. A lateral lengthening can in these situations often help to unload the cartilage forces and thereby reduce the pain. You should always undergo an MRI scan to rule out if the tilt is caused by trochlear dysplasia. If you have a lateral release in these cases, there is a risk of making the kneecap unstable, making it subluxate or even dislocate. Lateral lengthening or release is a name of an operating technique. Here the outer ligament for the kneecap - which has two layers - is lengthened. You see the technique below, first is both layers splitted. Then they are cut in different places, so that the final result is a lengthening. Anterior knee pain can in some cases be helped by unloading the patellofemoral joint via the procedure of transposition of the tibial tubercle (TTT), either medially (Elmslie Trillat osteotomy) or anteriorly (Fulkerson osteotomy) - again depending on the MRI findings. If the tibial tubercle is externally rotated, it can be a good idea to have this corrected. In some patient anterior knee pain is caused by a high riding kneecap (patella alta) and this can also be corrected by doing a distalisation of the tibial tubercle, ,that is moving it downwards. 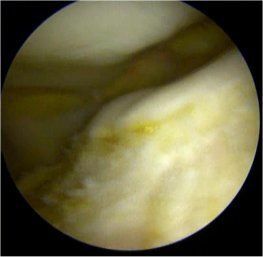 Hoffa Fat Pad Impingement is a very common explanation for having anterior knee pain. 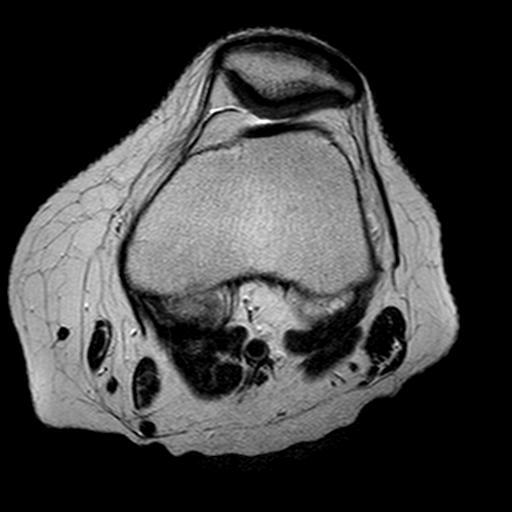 However Hoffas Fat Pad Impingement is not a diagnosis, but something seen on MRI. Hoffa Fat Pad Impingement is cause by maltracking of the patella into the trochlear groove and in most circumstances is based upon Patella Alta or trochlear dysplasia. 1 Matcuk GR, Cen SY, Keyfes V, et al. Superolateral Hoffa fat-pad edema and patellofemoral maltracking: Predictive modeling. Am J Roentgenol 2014;203:207–12. 2 Tsavalas N, Karantanas AH. 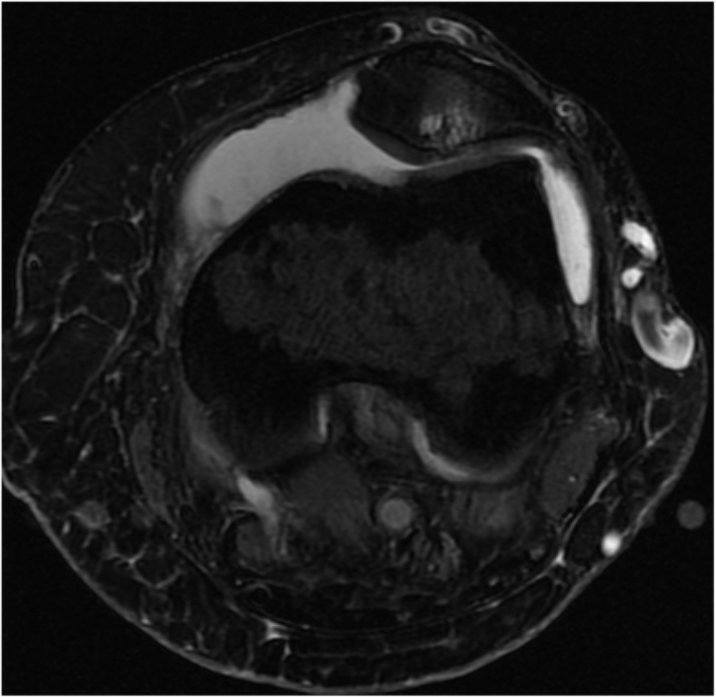 Suprapatellar fat-pad mass effect: Mri findings and correlation with anterior knee pain. Am J Roentgenol 2013;200:291–6. 3 Widjajahakim R, Roux M, Jarraya M, et al. Relationship of Trochlear Morphology and Patellofemoral Joint Alignment to Superolateral Hoffa Fat Pad Edema on MR Images in Individuals with or at Risk for Osteoarthritis of the Knee: The MOST Study. Radiology 2017;284:806–14. 4 Luyckx T, Didden K, Vandenneucker H, et al. 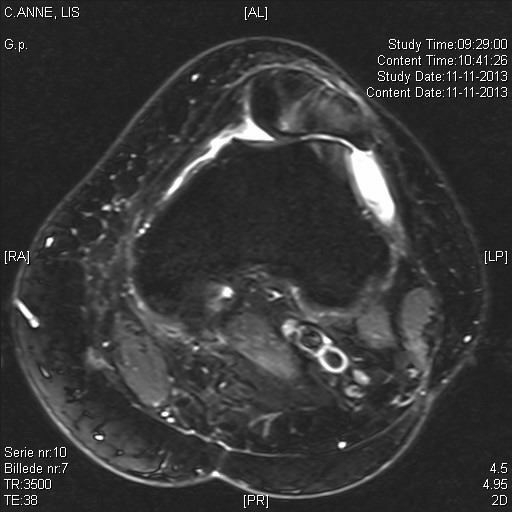 Is there a biomechanical explanation for anterior knee pain in patients with patella alta? : influence of patellar height on patellofemoral contact force, contact area and contact pressure. 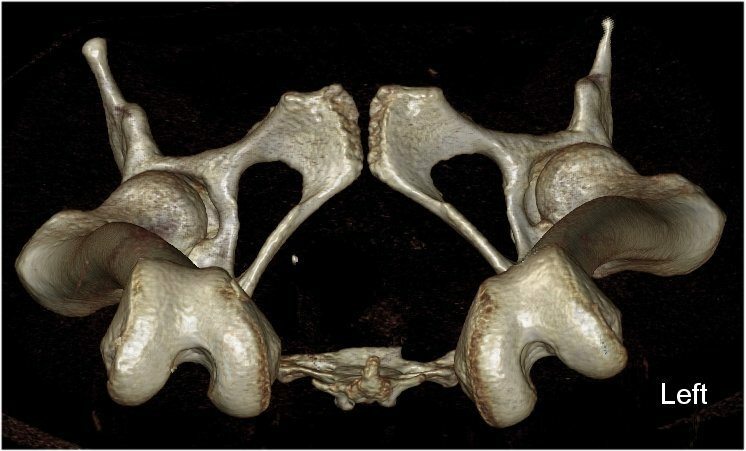 J Bone Joint Surg Br 2009;91:344–50. 5 AL-Sayyad MJ, Cameron JC. Functional outcome after tibial tubercle transfer for the painful patella alta. Clin Orthop Relat Res 2002:152–62. 6 Jibri Z, Martin D, Mansour R, et al. The association of infrapatellar fat pad oedema with patellar maltracking: A case-control study. Skeletal Radiol 2012;41:925–31. A malrotated hip, making the knee go inwards (increased anteversion of the femur) can also lead to anterior knee pain due to increased forces on the joint. It needs to be ruled out by clinical examination and in severe cases by a CT scan or special MRI scan. The malrotation can be corrected by a femoral rotational osteotomy. Beneath you see a figure demonstrating a left femur with severe increased internal rotation, causing the patella to dislocate or maltrack causing pain on the outer site of the kneecap. Sometimes the tibia is also involved having too much outer rotation and this also needs correction by a tibia rotational osteotomy - either alone or in combination with a femoral rotational osteotomy. A malrotated hip, making the knee go inwards (increased anteversion of the femur), can also lead to anterior knee pain due to increased forces on the joint. It needs to be ruled out by clinical examination and in severe cases by a CT scan or special MRI scan. The malrotation can be corrected by a femoral rotational osteotomy. Beneath you see a figure demonstrating a left femur with severe increased internal rotation, causing the patella to dislocate or maltrack causing pain on the outer site of the kneecap. This image is looking up the femur bone, from the knee up to the pelvis. The left femur (to the right of the image) shows that the shaft of the femur is rotated inwards compared to the other side. The this patient responded well on femoral rotation osteotomy. In cases of symptomatic osteoarthritis in the patellofemoral joint, several options exist. 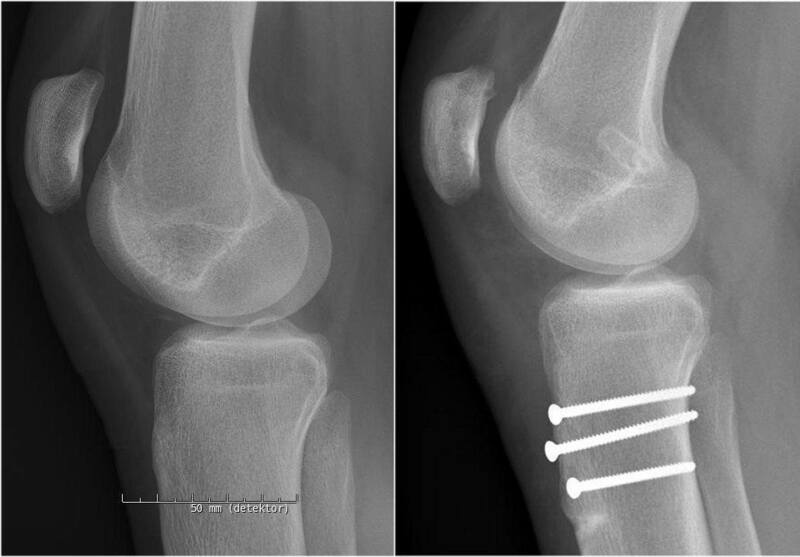 Some patient may have symptoms relief by a lateral lengthening, a lateral patella facetectomy, a TTT or a trochleoplasty or cartilage procedures such as microfracture or autologous cartilage transplantation and finally some patients needs to be treated by a patellofemoral prosthesis. Treatments with stemcells is on the exprimental level and right now we are testing adipose stem cell transplantations. 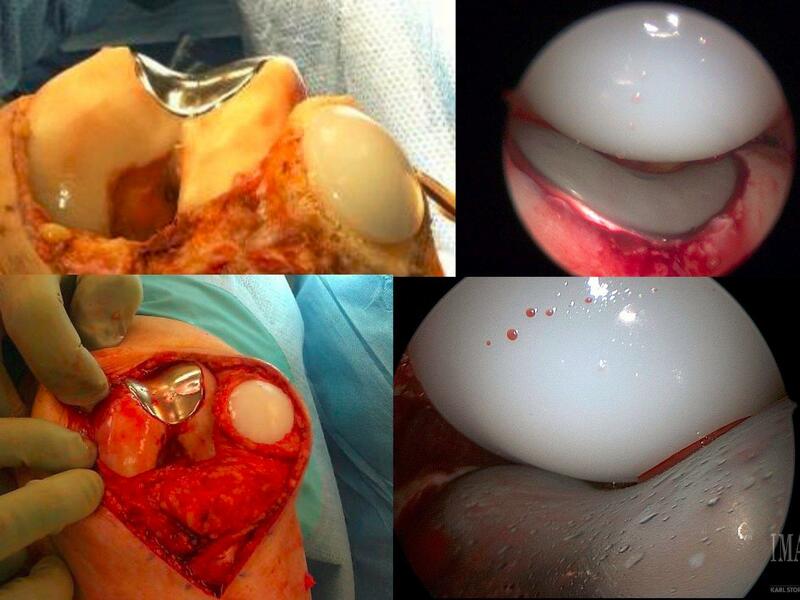 In some special selected cases I have done a "Resection Arthrosplasty". This is in cases with severe anterior knee pain, trochlear dysplasia and arthritis. 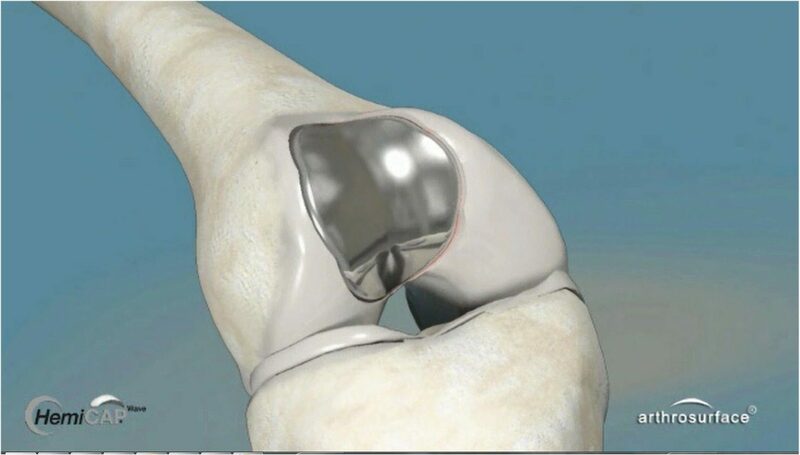 Alternative to a prosthesis, a new groove to the patella is made. Apparently this unloads the patella in such a degree that the pain diminishes significantly. Download the Editorial paper from the KSSTA journal by clicking below. Is there a relationship between anterior knee pain and femoral trochlear dysplasia? Assessment of lateral trochlear inclination by magnetic ﻿resonance﻿ imaging.